Bitcoins have been classed as the world’s first decentralised currency, and for the past ten years, they have become more well-known and continue to grow in popularity. Below is a brief history of how the Bitcoin started and what has happened since. 2007 - It was in 2007 that the concept of the Bitcoin began. It is believed that it was started by Satoshi Nakamoto, although not much is known about him, other than the fact he is on record as living in Japan. In fact, many speculate that this might just be a pseudonym for more than one person. Although soon, this identity completely vanished from the world. August 2008 An application for an encryption patent application was filed by three individuals who denied having any connection to the alleged originator of the Bitcoin concept. They were Neal Kin, Vladimir Oksman and Charles Bry. In the same month, they anonymously bought and registered the domain bitcoin.org. October 2008 In October of 2008, just two months after the domain was registered, a paper titled, ‘Bitcoin: A Peer-to-Peer Electronic Cash System’, was published on a cryptography mailing list, supposedly written by Satoshi Nakamoto. The paper outlined the foundation of how the Bitcoin would actually operate, and solves the problem of money being copied, which allowed Bitcoin to grow legitimately. November 2008 A month after the white paper was published, the Bitcoin project is registered on a community collaboration website, SourceForge, which focuses on the development and distribution of open source software. January 2009 In early 2009, the first block, which was nicknamed ‘Genesis’ is launched, which allowed the first version of Bitcoin to be released. There was further speculation that Bitcoins were developed by more than one person, as it had been compiled with Microsoft Visual Studio for Windows, but lacked command line interface. It was predicted at this time that a Bitcoin generation system would create a total of 21 million Bitcoins through the year 2040. Later on, in this month, the first transaction took place between Satoshi and Hal Finney, a developer and cryptographic activist. October 2009 In October, New Liberty Standard publishes a Bitcoin exchange rate. The value was established and they published a rate of a Bitcoin at 1USD = 1,309.03 BTC. This was decided using an equation that included the cost of the electricity to run the computer that generated Bitcoins. Later on this month, the #bitcoin-dev channel is registered on freenode IRC, which was a discussion network designed for free and open source development communities. December 2009 In late 2009, the second version of the Bitcoin was developed and released; however later on in the month, they incurred their first difficulty increase. February 2010 In early 2010, the Bitcoin currency exchange was born, and the Market was established by the now defunct company dollar. Later on in the month, and a year and a half after the application was filed, the encryption patent was published and approved. May 2010 This month would prove to be a milestone for Bitcoins, due to the fact that the first real-world transaction took place. A programmer named Laszlo Hanyecz, who lived in Florida pays 10,000 Bitcoins on a pizza, that was originally bought from Papa Johns by a volunteer in England. The exchange rate at the time put the purchase price for the pizza at 25USD. Given the current exchange rate, today the pizza is valued at 1,961,034GBP. July 2010 The 3rd version of Bitcoin is developed and released. Later on that month, there were a large number of new Bitcoin users, thanks to a mention of the new version on Slashdot. During a five day period of this month, the exchange value of Bitcoin increased ten times, from 0.0008USD/BTC to 0.080USD/BTC which the led to Jed McCaleb establishing a Bitcoin currency exchange market named MtGox. August 2010 August 2010 proved to be a disastrous month for the Bitcoin, and the system was hacked. A vulnerability in the system caused Bitcoins to be improperly verified, and subsequently exploited, which resulted in the generation of 184 million Bitcoins. The caused the value to drop drastically. September 2010 This was a busy month for Bitcoins, as they tried to recover from the hacking the previous month. An offer was made by jgarzik in the form of 10,000BTC, which was equivalent to 650USD at the time, to open source their Windows-based CUDA client. Later on that month, they took this offer and released the source, under the MIT license. October 2010 Bitcoins faced a lot of scrutiny this month, when an inter-governmental group named The Financial Action Task Force issued a report on money laundering, warning about the use of digital currencies to finance terrorist groups. Despite this report, the Bitcoin exchange rate, which had stalled, began to climb again. This came after the first public version of an OpenCL miner is released. November 2010 Bitcoins reaches $1million. This number was based on the number of Bitcoins at the time, which leads to a surge in value to $0.50/BTC. December 2010 Bitcoins was formed by forum member doublec, which was written for the Nokia N900 mobile computer, which then led to the first portable-to-portable transaction of Bitcoins to occur. January 2011 Silk Road opens its doors for business. This was a Bitcoin marketplace, which launched an illicit market place, which allowed people to use Bitcoins as an untraceable way to buy and sell drugs online. It was known as the eBay for drugs. This month also saw the largest trade on #bitcoin-otc, where three Zimdollars, which are Zimbabwe notes that are worth one-hundred trillion dollars each, were traded for 12BTC. February 2011 In February, Bitcoin reached parity with the US dollar for the first time. Due to the increase in popularity, the website struggled with the increased traffic. By June, each Bitcoin is worth $31, which gave the currency a market cap of $206million. This led to an Australian member of the forum to successfully become the first person to offer a vehicle in exchange for Bitcoins, when he attempted to sell his 1984 Celica Supra for 3000BTC. Because of the increase in traffic, WeUseCoins.com is registered, and built into a Bitcoin resource, which creates one of the most watched videos on Bitcoin. March 2011 Bitcoin Market got a major update, which reduces the minimum trade size, permits trading 24x7, and helps to ensure that payments are made for executed trades. Later on in the month, Jed McCalen sells MtGox to Japan’s Tibanne Company. 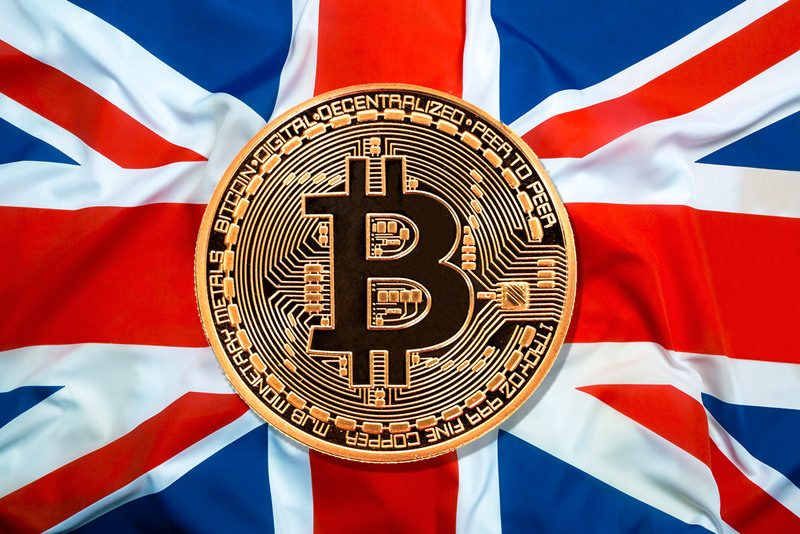 Britcoin opened for trading, and became the first market for the exchange of Bitcoins and the British Pound Sterling (BGP). Bitcoin Brazil also opened this same month. April 2011 Bitcoins continued to grow, leading to Bitmarket.eu to open its doors, which allowed the exchange of Bitcoins, the Euro and several other currencies; however, this was short lived and in the same month, they pass parity with the Euro and the British Sterling Pound. The value of the stock passed 10million USD. 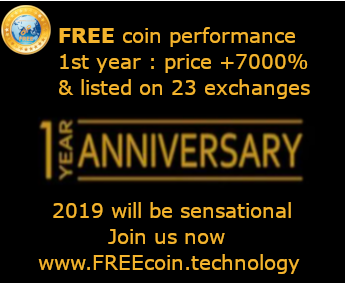 June 2011 June saw the Great Bubble of 2011, which was the largest percentage price decrease to date, and the exchange rate plummeted to 10USD, just 4 days after its peak of 31.91USD. In the same month, it was claimed that one forum member had 25,000BTC stolen from his wallet. This amount was close to 375,000USD. There was also a major breach of security at MtGox, which resulted in the sited being shut down for 7 days. This saw the currency go from $17.51 to $0.01 per Bitcoin. July 2011 The first Bitcoin application was developed for the Apple iPad, by Intervex Digital, and was named Bitcoins Mobile. September 2011 The first physical Bitcoins were produced by Mike Caldwell, who named the minted coins, Casacius Coins. February 2012 TradeHill closes its doors, which was the second largest Bitcoin exchange in the whole world. They site regulatory problems, and the loss of 100,000USD as a contributing factor. Later on that month, Bitcoin Magazine was also launched, which included articles about Bitcoin and crypto-currency. March 2012 There was a security breach at Linode, which was a website hosting company, and resulted in the largest theft of Bitcoins to date. It saw more than 46,000BTC to be stolen, which were valued at over 228,000USD. August 2012 Plans were announced by Charlie Shrem to create a Bitcoin debit card, through BitInstant, which was a Bitcoin transfer service. September 2012 This month saw another hacking; this time of the fourth largest US Bitcoin exchange, Bitfloor. They suffered a loss of 24,000BTC, which was valued at 250,00USD. The led to all exchange operations being paused. In the same month The Bitcoin Foundation is formed, which implemented a core development team for the protocol and a body to oversee the digital currency. December 2012 The first Bitcoin bank was formed. Bitcoin Central, was licensed as a European bank and began operating within the European regulatory framework. February 2013 For the first time since 2011, the trade value of a Bitcoin reaches 30USD and subsequently saw the first all-time high in 601 days. March 2013 March saw another hacking of Bitcoin brokerage firm, BitInstant, resulting in the theft of nearly 12,000USD. Bitcoins first audio show was released, titles Let’s Talk Bitcoin! And was presented by Adam B. Levine. The US Financial Crimes Enforcement Network (FINCEN) issues the first Bitcoin regulations. This served as a guidance report for persons administering, exchanging or using virtual currency, which marked the ongoing debate on how Bitcoins should be regulated. Bitcoin market capitalisation passed 1billion USD. April 2013 Bitcoin Central is hacked. The hackers stole a few hundred Bitcoins, and the site owners agreed to fully cover. August 2013 Bitcoin is ruled as currency by Texas Judge, who stated that is was clear that Bitcoins could be used as money to purchase goods or services. Bloomberg starts to test Bitcoin data on its terminal, allowing employees to track the value of BTC under XBT Currency. The German Federal Ministry of Finance ruled that Bitcoin is a form of private money in Germany, and authorised its use in commercial and private sales. They become exempt from tax when they are held for longer than one year. September 2013 Plans were announced to build a nine-acre sanctuary in Florida for the homeless which is to be funded entirely by Bitcoin donations. November 2013 Bitcoin price reaches an all-time high of $700, and continues to rise throughout the month. The first Subway restaurant in Allentown, Pennsylvania begins to accept Bitcoin, closely followed by The University of Nicosia in Cyprus, which became the first university to accept Bitcoin for tuition. Virgin Galactic then followed suit, and began accepting Bitcoin for space travel. December 2013 The end of 2013 saw the biggest heist in history, when 96,000 Bitcoins were stolen from Sheep Marketplace, which was an online drug site. The People’s Bank of China stated that Bitcoin was not a currency with ‘real meaning’, and did not have the same legal status as physical currency, and stopped all financial institutions from handling Bitcoin transactions, which caused a price drop of more than 20 percent. January 2014 Charlie Shrem, BitInstant CEO, was arrested and charged over money laundering allegations in connection at Silk Road. He is arrested at JFK airport, before he later resigns from his position as Vice Chairman of the Bitcoin Foundation. February 2014 HMRC classifies Bitcoin as assets or private money, which means that you will not pay VAT on the mining or exchange of the Bitcoin. This is the first and most progressive treatment of Bitcoin, which then positioned the UK government as the most forward thinking and comprehensive with regards to Bitcoin taxation. June 2014 More than 29,000 Bitcoins that were seized from Silk Road were auctioned off by the US Government. This actually helped Bitcoin gain legitimacy, as it demonstrated that they were not an easy way for online criminals to avoid the rule of law. Bitcoin Blockchains mean that the identity of users can easily be established, no longer making this a currency for criminals. July 2014 The New York State Department of Financial Services released the first draft of the proposed rules for regulating virtual currencies, which could see the ‘Bit License’ become a reality. Later on that month, the Global Advisors Bitcoin Investment Fund (GABI) launched the world’s first regulated Bitcoin Investment Fund. August 2014 George Osborne, who was the Chancellor of the Exchequer showed his positive outlook on Bitcoins, when he announced that he had purchased £20 worth of Bitcoin, and announced HM Treasury’s Call for information on digital currencies. October 2014 A new hedging instrument was added to Bitcoin, after TeraExchange announced that the first Bitcoin derivative transaction was executed on a regulated exchange. This instilled credibility and institutional confidence in the entire Bitcoin community. December 2014 Computer giant Microsoft, began accepting Bitcoin as a form of payment. January 2015 The New York Stock Exchange was a minority investor in Coinbase’s 75million USD.August 2015Mark Karpeles, who was the CEO if MtGox suffered a similar fate to his predecessor, and was arrested in Japan on charges of fraud and embezzlement. It is thought that the exchange is thought to have ultimately lost 744,400 Bitcoins of customer deposits. October 2015 The European Court of Justice ruled that Bitcoins, and other virtual currencies should not be subject to VAT in the European Union. May 2016 Craig Wright announced in a blog post that he was creator, Satoshi Nakamoto; however, the verification he attempted was debunked by the Bitcoin community. His claim was later backed up by Bitcoin developer Gavin Andresen in his own blog post, where he stated that he had met Wright in London, and witnessed him sign an arbitrary message, using one of Nakamoto’s private Bitcoin keys; however, he has since said that he might have been tricked by Wright himself. August 2016 The largest Bitcoin exchange, Bitfinex was hacked, and announced that 119,756 Bitcoins of customer funds had been stolen. This had an approximate value of 72million USD. This caused the price of Bitcoin to plummet by nearly 20% to 480USD. November 2016 After Donald Trump became the 45th president of the United States, the US market dropped. This was good news for Bitcoins though, which saw a sharp increase in value during this night, and increased by 5% in just 24hrs. Later on, and throughout the next day, this price stabilised and increased by a total of 2.5%.